Elysian Studios: Celebrate Father's Day with Bacon Burger Dogs! 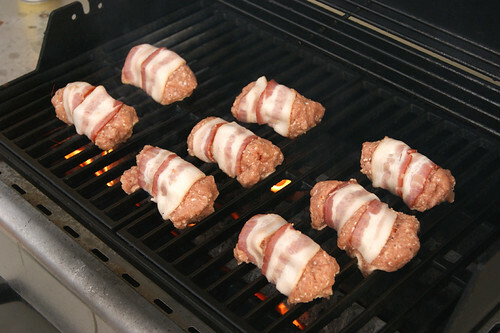 Celebrate Father's Day with Bacon Burger Dogs! In honor of Father's Day, we've whipped up a batch of Bacon Burger Dogs for the grill that would make The Cosby Show's Cliff Huxtable proud! 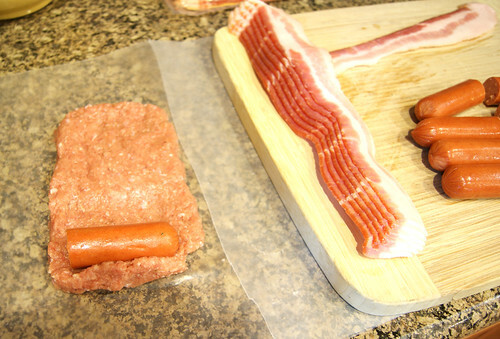 To make them a little bit healthier, we've created the "slider" Bacon Burger Dog. Season the ground beef (or turkey) with salt, pepper and A1 sauce. Add the egg and mix well. Divide the meat mixture into eight portions. 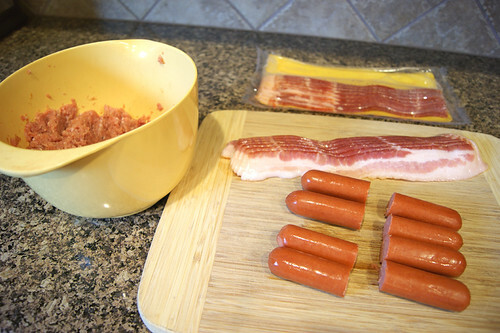 Have your hot dogs cut in half and bacon separated, ready for assembly. 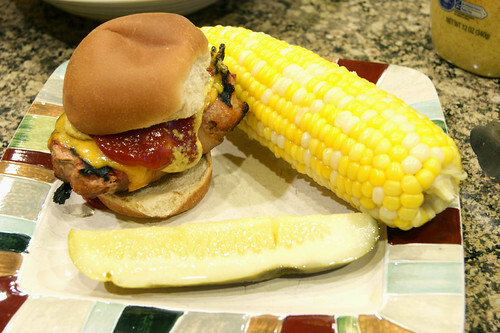 Make a rectangular patty with the hamburger meat, and place one hot dog half on it. 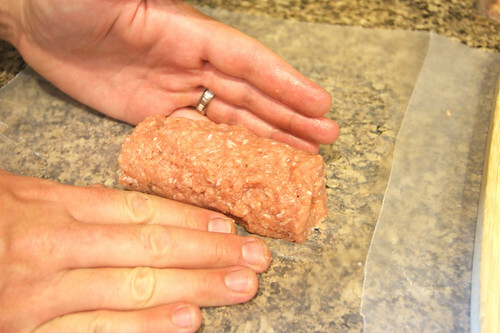 Roll up the hot dog inside of the meat mixture, and press the patty together firmly. 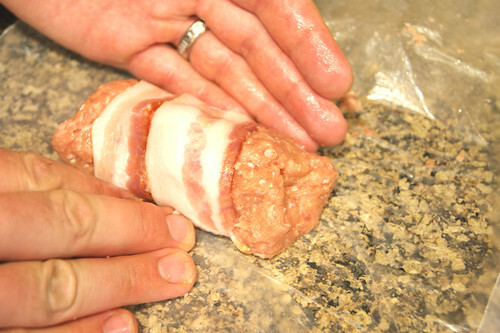 Wrap one slice of bacon around each burger dog. Repeat for all eight. 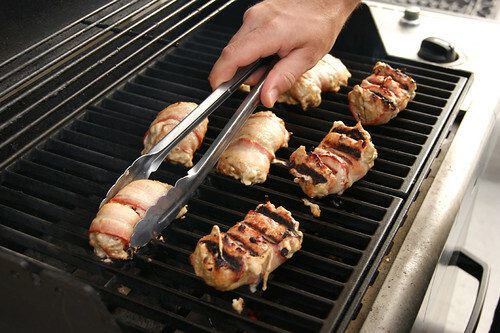 Preheat your grill and spray the griddle with non-stick cooking spray. 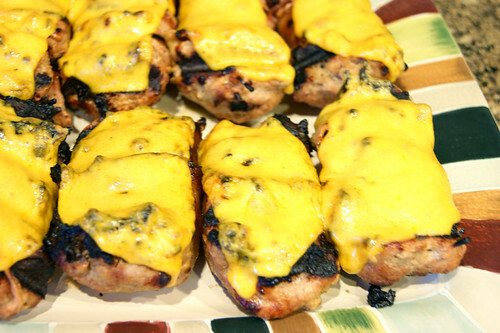 Place the Bacon Burger Dogs on the grill for about 6-8 minutes per side. Once you've flipped the Bacon Burger Dogs, top them with cheese for the last few minutes of cooking. 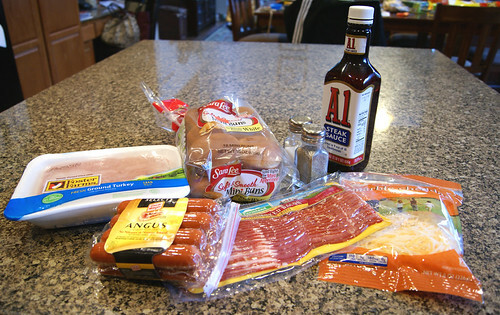 Assemble your Bacon Burger Dogs on the mini buns and top with the condiments of your choice. Serve with dill pickle spears and fresh summer corn! Enjoy!! What are some of your favorite Father's Day meals and traditions? I hope you have a wonderful weekend celebrating the special fathers in your life! Omg, I loved the Cosby show... To this day I think he rocks! One of the funniest memories I have was with my Mom watching Bill Cosby in Himself.. I was pregnant at the time..He is so funny! I think we would really love to have a bite of those, thanks for sharing! I hope you guys had a fantastic Father's Day!